Fantastic Books ...and other interesting reads! 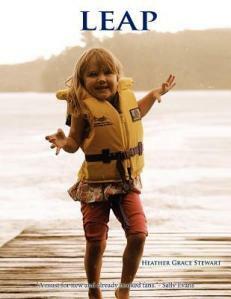 I love this collection of poetry by Heather Grace Stewart. The poems, which vary in length and form, touch so many emotions. I laughed at the humour in “Honey-Do List” and enjoyed the number of poems based on social networking; I was moved by the poignancy of “Light Moments” and “Valley”. The poems that resonated strongly with me were the group which looked at motherhood/childhood. Although my children are adults, I’m revisiting many of these experiences with my young grandchildren – they are such precious times and Heather Grace Stewart has captured them in her poetry. There are so many good things to discover in this collection – far more than I’ve mentioned here. I know I shall return to them time and again.